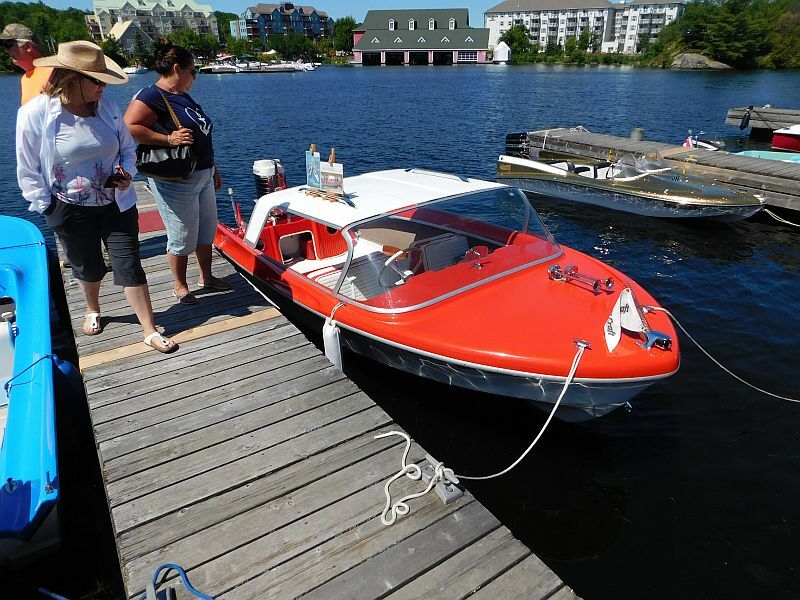 You are browsing the archive for Gravenhurst Boat Show. 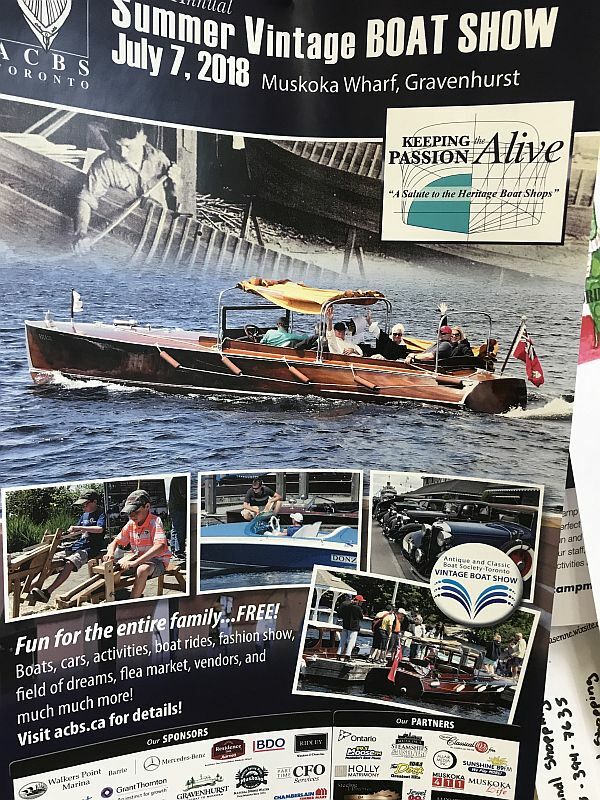 The 2018 Antique and Classic Boat Society (Toronto Chapter) boat show in Gravenhurst Ontario on July 7, 2018, featured huge crowds,scores of gleaming, varnished decks, vintage autos and wonderful weather. Enjoy the video below. (Part One). 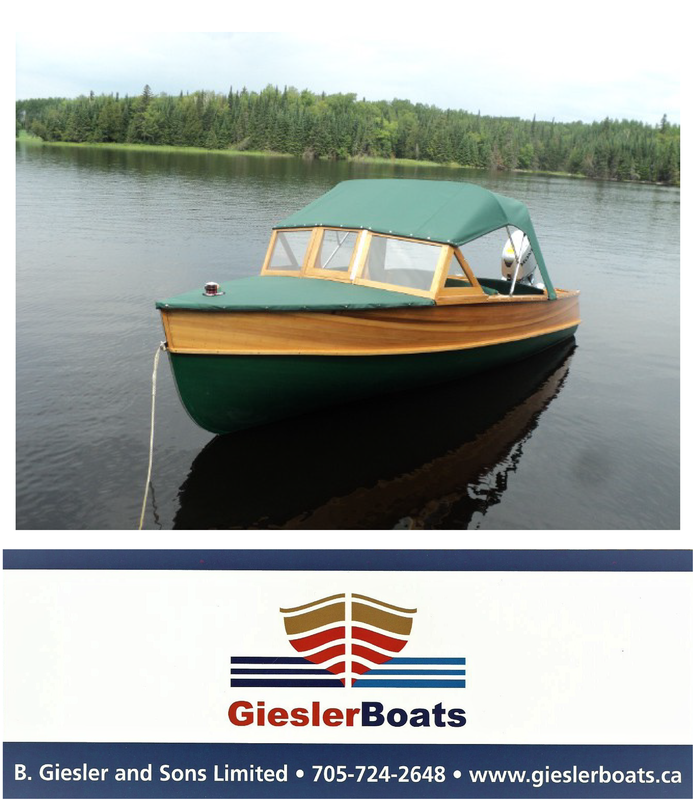 International boat show a smashing success! 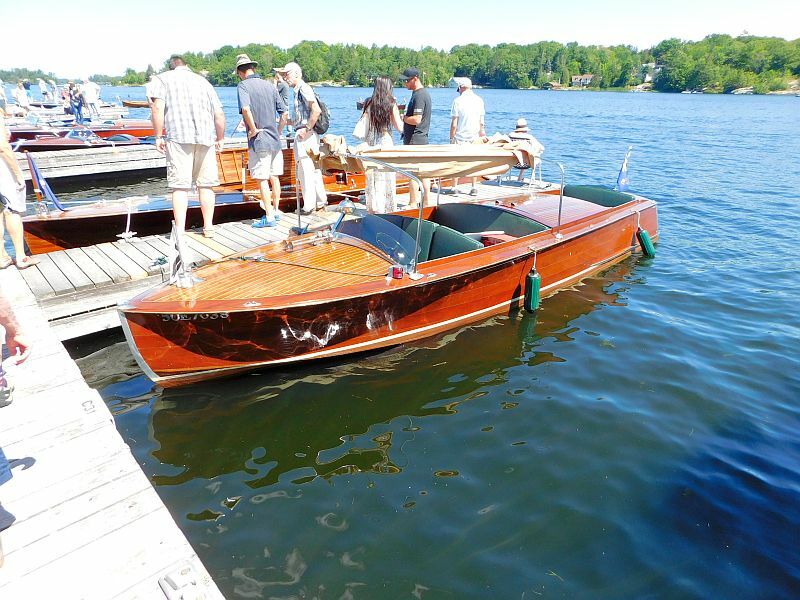 Scores of vintage wooden and fibre-glassic boats (as well as vintage autos) lined the shores of Muskoka Bay in Gravenhurst, Ontario, this past Saturday July 7, 2018. The balmy weather brought thousands of visitors to the displays. 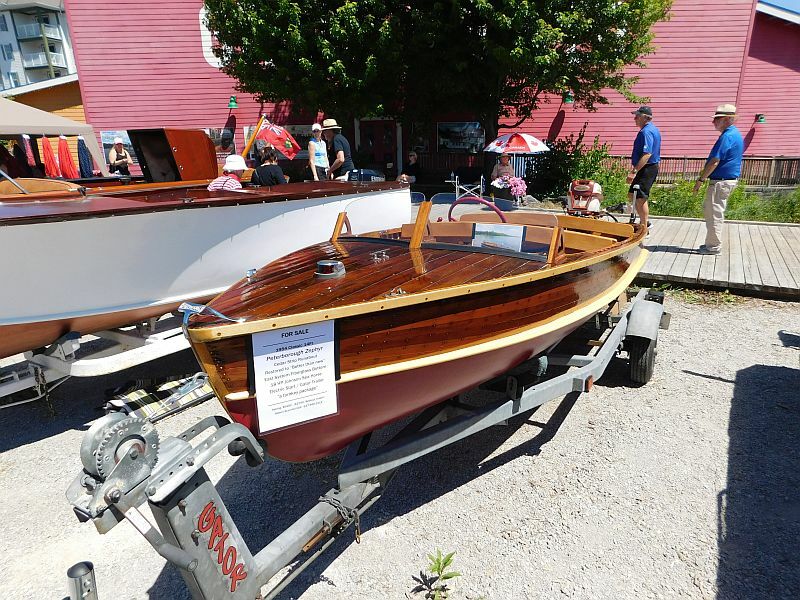 Hosted by the Toronto Chapter, Antique and Classic Boat Society, this event is liable to go down in history as one of the best attended and most interesting shows on record. Enjoy the photos below and stay tuned for the video to follow. Believe it or not, it’s a paddle boat! And now…for something completely different! 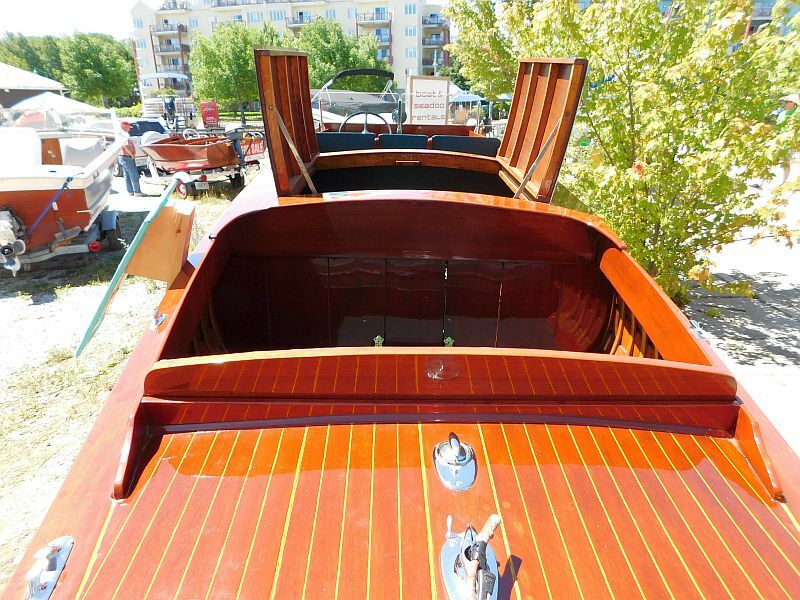 Boat show attendees signed up for a free ride on the magnificent woody “Rum Runner”. Vessels available for sale at the Field of Dreams this year seemed to be of a higher quality. Balmy weather and a light breeze made it a pleasure to walk the docks. This looks suspiciously like a Duke Playmate. 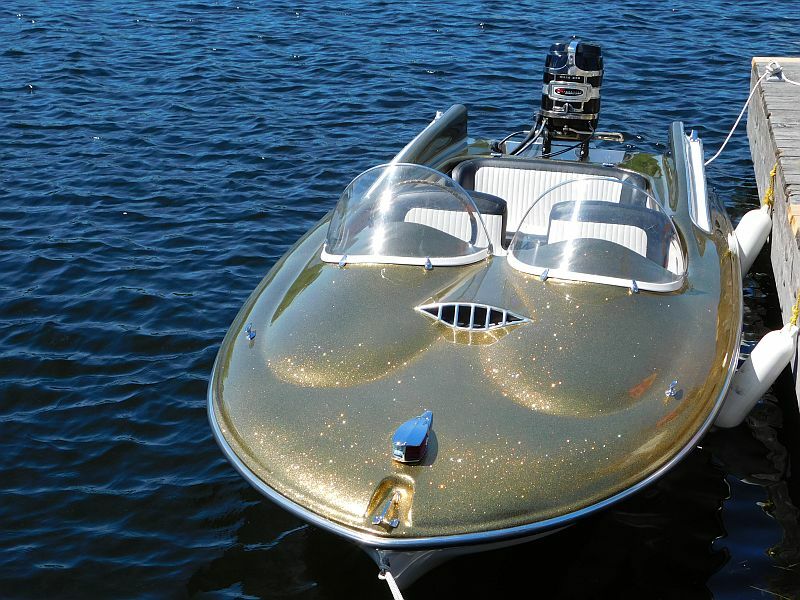 The perfect boat for “Gold Finger”! 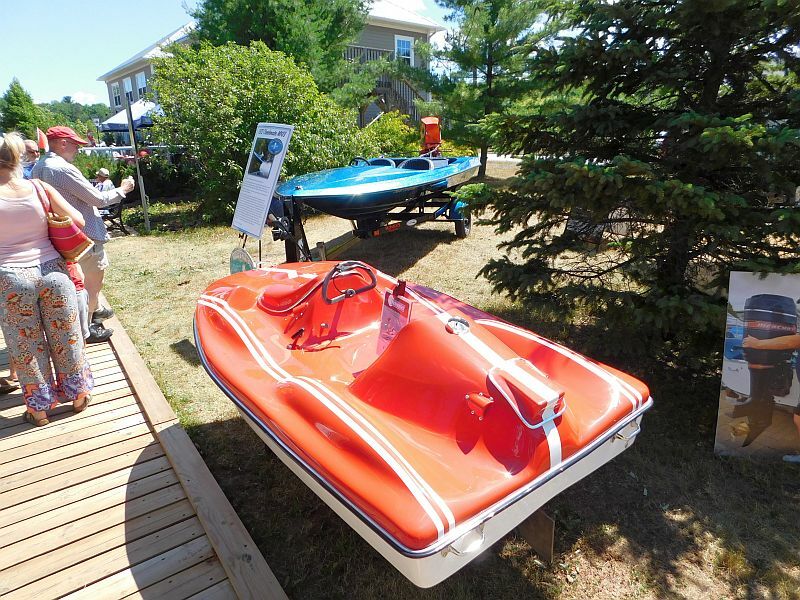 The land displays included several “sea-flea” type watercraft. A stunning twin engine fibre-glassic: every teenager’s dream in the 1950s-60s. 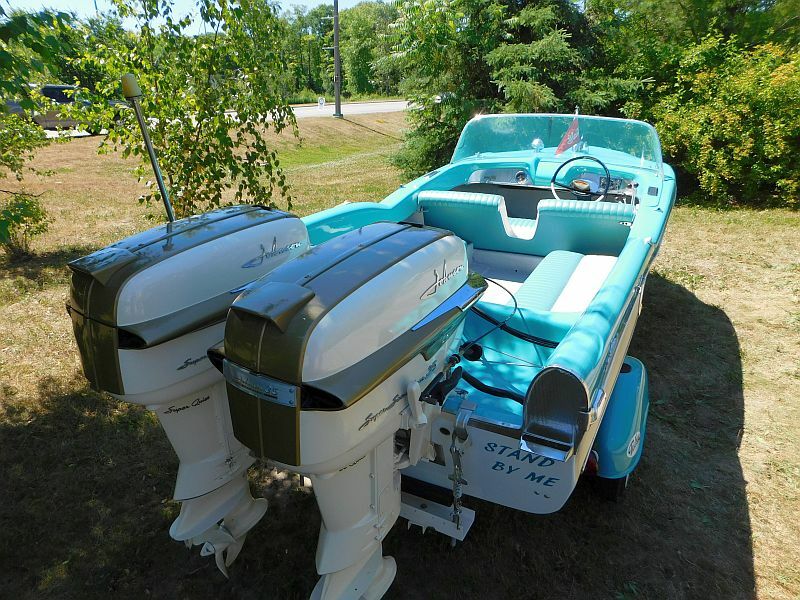 More “Field of Dreams” boats. 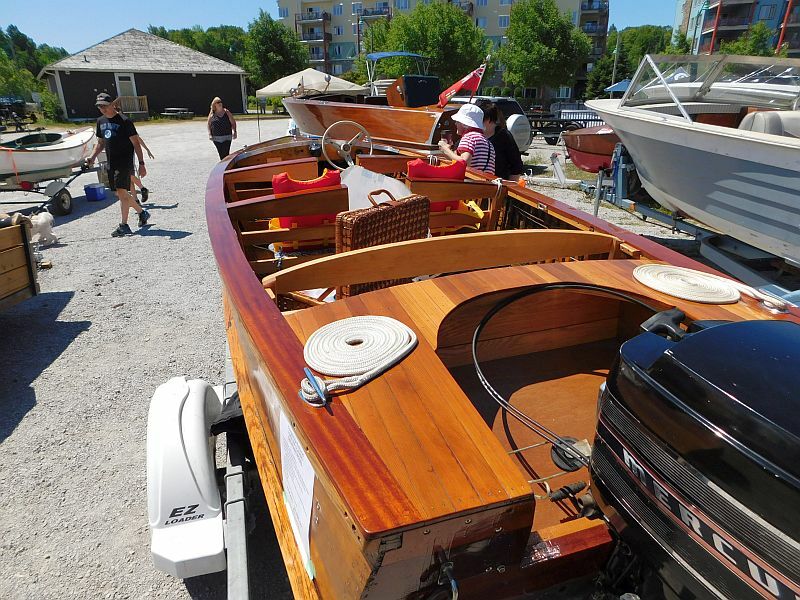 Tags: ACBS, ACBS Boat Show, Antique Boat SHow, antique boats, antique boats for sale, classic boat show, classic boats for sale, Gravenhurst Boat Show, Muskoka boat show, Muskoka boats for sale, Port Carling Boats, vintage boat show, vintage boats, wooden boats, woody boater Comments Off on International boat show a smashing success! Arrghh, Maties! The big Boat Show is coming! 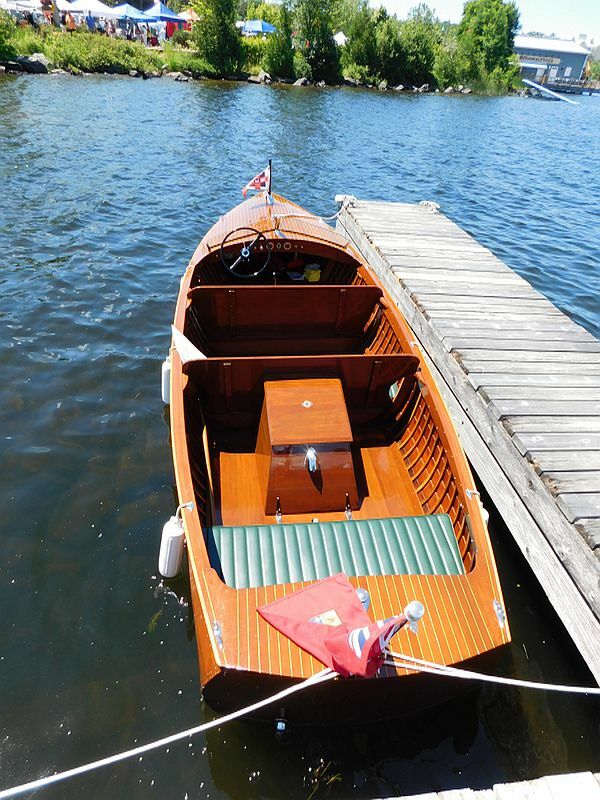 Listen up, classic antique and “fibre-glassic” boat lovers. 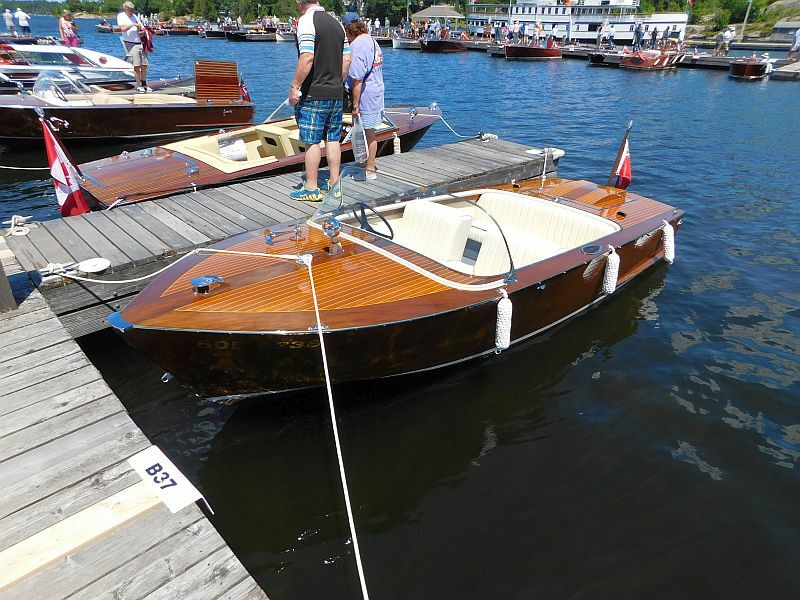 The International Antique and Classic Boat Society (Toronto Chapter) is coming Saturday July 7th. to Muskoka Wharf in downtown Gravenhurst Ontario. 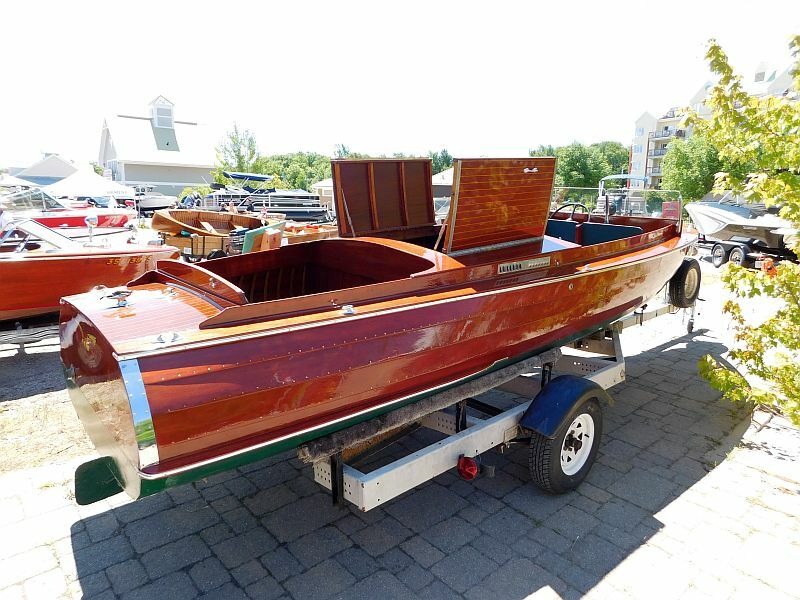 This is one of the largest exhibitions of vintage boats and autos in North America. 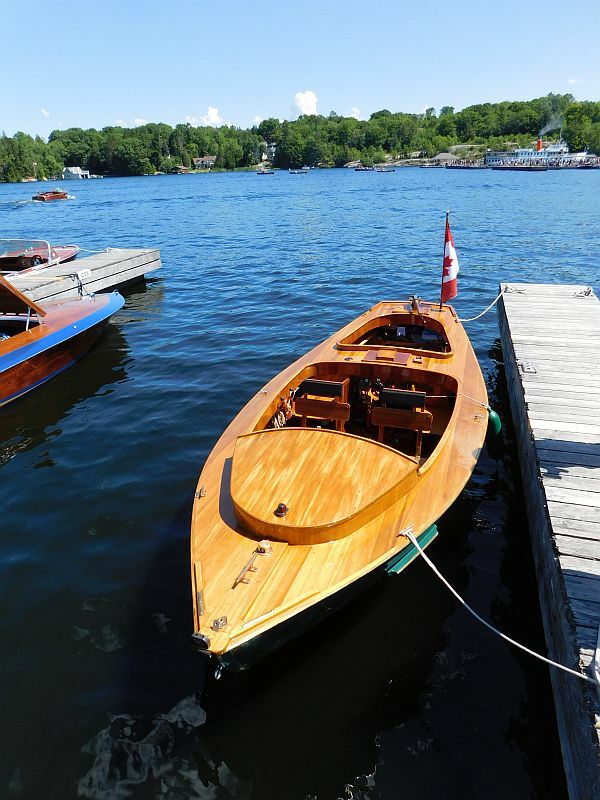 Port Carling Boats will have a booth and there a number of activities and wonderful sights to see. 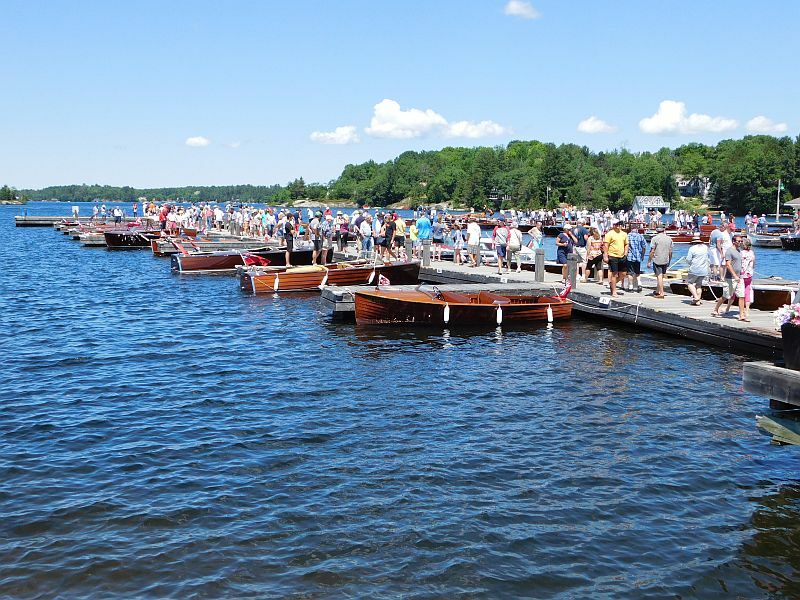 Mark the date on your calendar and be sure to make the trip to Muskoka for this annual event. 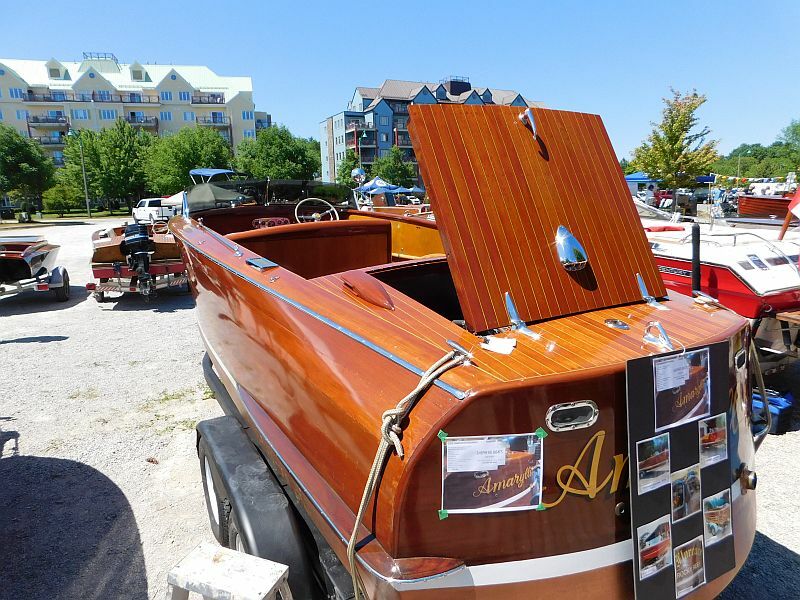 Tags: ACBS, ACBS Boat Show, ACBS Gravenhurst Boat Show, antique boats, classic boats, Gravenhurst Boat Show, Port Carling Boats, vintage boats, woody boater Comments Off on Arrghh, Maties! The big Boat Show is coming! 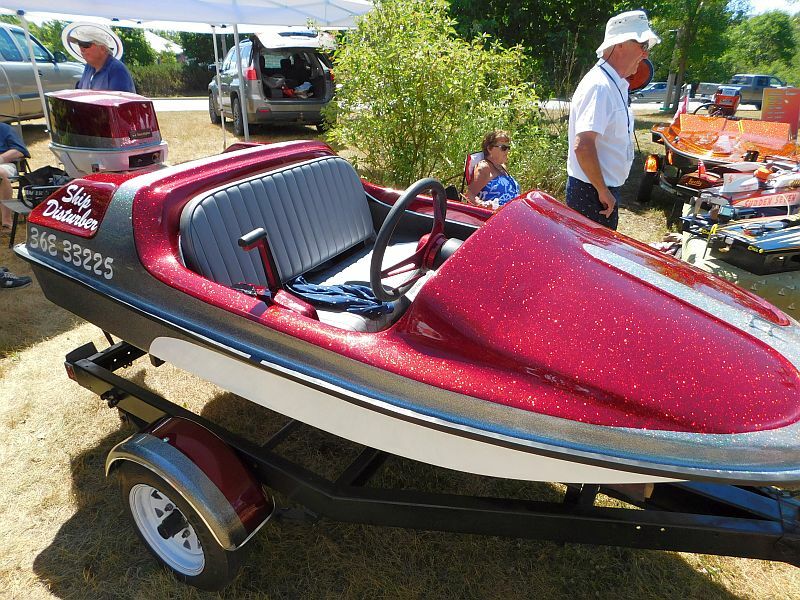 The ACBS (Toronto Chapter) International vintage Boat and Auto Show: July, 2017. 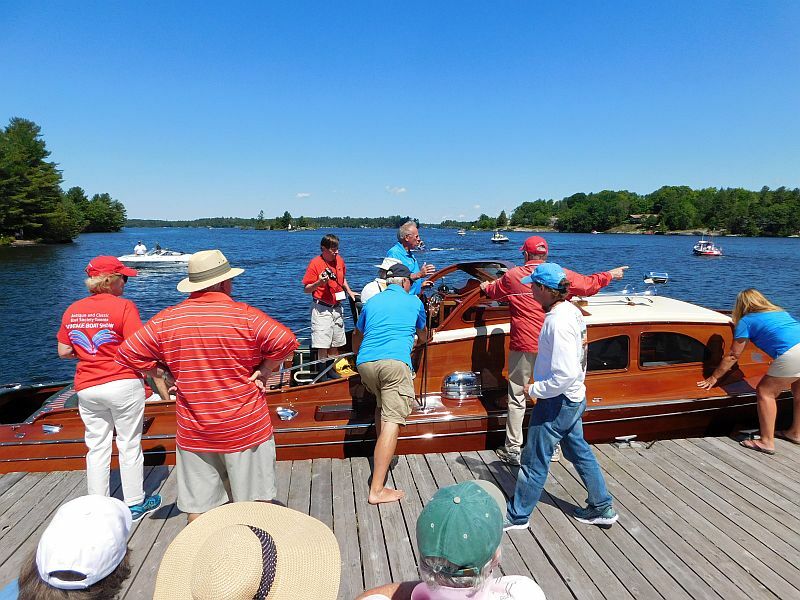 This year’s annual Antique and Classic Boat Society’s International Show in Gravenhurst, Ontario, was blessed with a beautiful, breezy sunny day. Ironically, a thunderstorm the night before knocked out the power to some boat house doors, a repeat of last year’s performance! 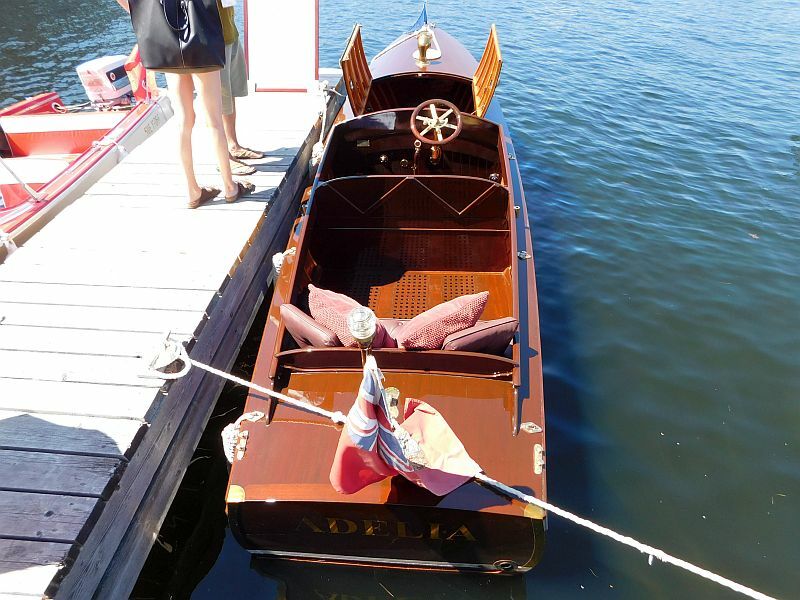 Nevertheless, there was a multitude of beautiful vintage water-craft and Cours d’Elegance automobiles to delight the attendees. The event was free for visitors this year, in honour of Canada’s 150th birthday. 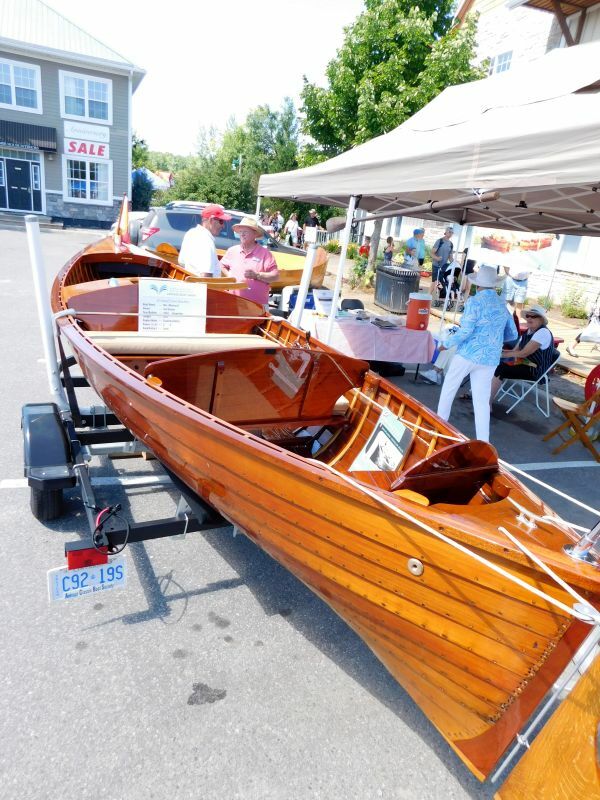 The in-water boat displays were enhanced by opportunities for visitors to ride in a “woody”, experience the field of dreams, observe the children’s paddle making, and visit onshore displays and a vendors’ row. 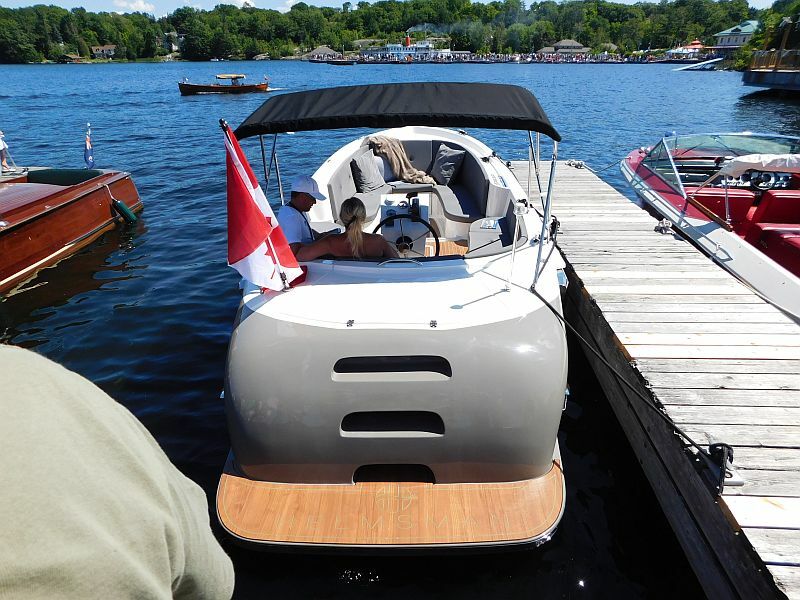 Port Carling Boats was there to highlight our clients’ boats for sale. 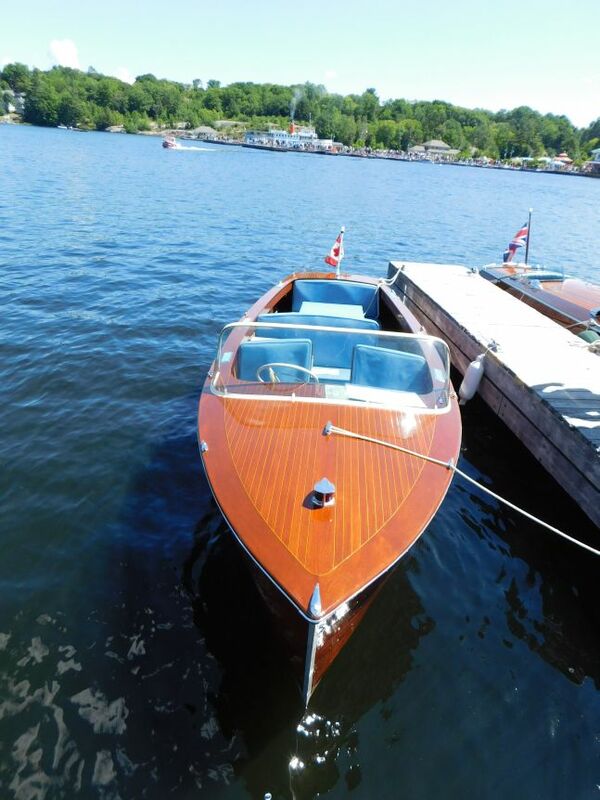 Tags: ACBS International Boat and Auto Show, Antique Boat SHow, classic boat show, Gravenhurst Boat Show, Port Carling Boats, wooden boat show, www.portcarlingboats.com Comments Off on The ACBS (Toronto Chapter) International vintage Boat and Auto Show: July, 2017.